At Atlanta Commercial Trucks, we can go on for days about how powerful our trucks are — how much they can tow, what their class-leading payload and torque is, etc. But when it comes down to it, Atlanta business owners don’t just need the most powerful trucks for their fleets; they need ones that will represent a good value and investment. 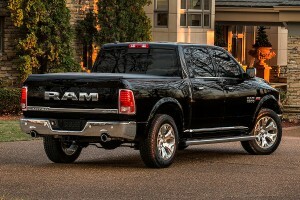 For the third consecutive year, U.S. News & World Report named the RAM 1500 as the Best Full-size Truck for the Money. The honor this year went to the new 2016 RAM 1500s that are available at Atlanta Commercial Trucks. When compared to full-size trucks of other brands, RAM’s half-ton truck received more positive reviews from a variety of automotive media and press and long-term value. U.S. News editors looked through mountains of vehicle reviews and ratings for all brands of trucks and conclude that RAM stood above the rest. The data from these reviews were compiled into 21 different categories by U.S. News. The vehicle that garners the highest composite score across these 21 categories earns the Best Truck for the Money. Value, according to U.S. News, was measured by five-year total cost of ownership and the average price paid for the vehicle. Our RAM 1500 trucks at Atlanta Commercial Trucks are the best tool and the best toolbox for the trade. From the Tradesman to the Big Horn and all the special editions in between, the trucks we offer are the cream of the crop for Georgia and southeastern businesses finding out which truck is best for the fleet. The available features and Ecodiesel engine mean you can fit your RAM trucks to fit your business, and as an Atlanta Chrysler BusinessLink dealer, we can get you the upgrades on the upfits to meet your business needs. To learn more about what the Best Truck for the Money RAM 1500 can do for you and your business or to schedule a test drive, contact Atlanta Commercial Trucks online or give us a call at 855-971-9571.